Welcome to our Autumn 2019 newsletter - we hope you enjoy it! We were very happy to come back to school in January. We have lots of new young friends at school and we are showing them the Montessori way - they are learning quickly. On 21 February we celebrated International Mother Tongue Day and only spoke isiXhosa the whole day - no English. We had lots of Xhosa stories read to us and one of the gogo's from the village came to tell us an old Xhosa story - it was very nice. 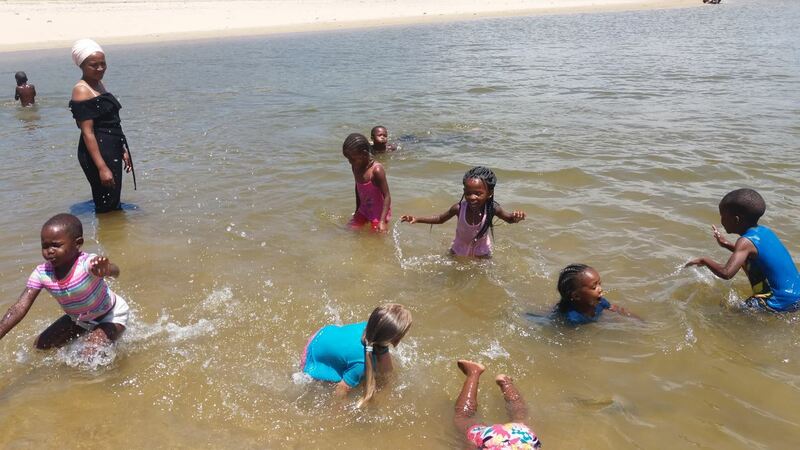 We enjoyed a lovely play, swim and lunch at the river one Friday - it was lots of fun! We all like animals and some of us know how bad plastic is for the animals and the earth - we have seen horrible pictures. After a big storm here recently, the marshy field outside our school was very dirty - so we decided to pick up all the plastics, before the wind blew it into the water. 8 Bags later and a nearly clean marsh :-) https://www.facebook.com/trashtag2019/ We challenge all readers to join the #trashtag challenge! The Yann Eric Day room has been completed with glass sliding doors. 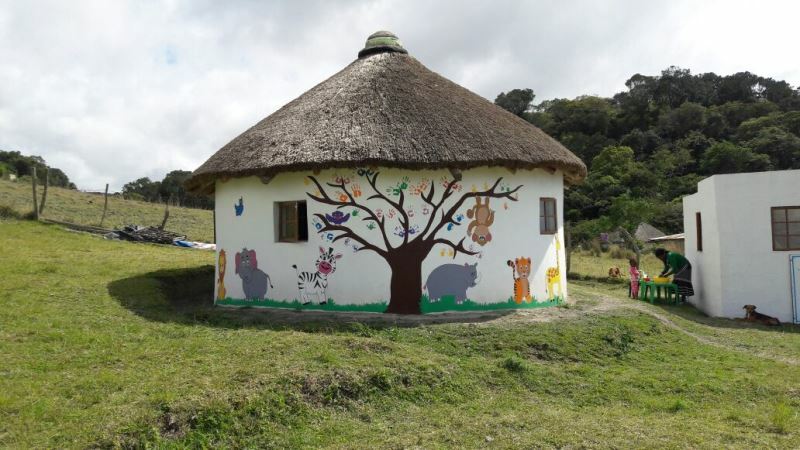 The room is used daily for educational purposes by 62 rural children and it buzzes with activity. With many thanks to all our amazing GlobalGiving donors - we were able to launch the Siyafunda After School and Holiday program this term and it has been an absolute hit with the children! We reached the goal of raising $5000 from 40 donors and are now proudly permanent members of GlobalGiving. We desperately need to build brick toilets for the children now, as the long drops are not coping with the large numbers of children attending the center daily. Surely a safe toilet is a right, not a privilege for a child! 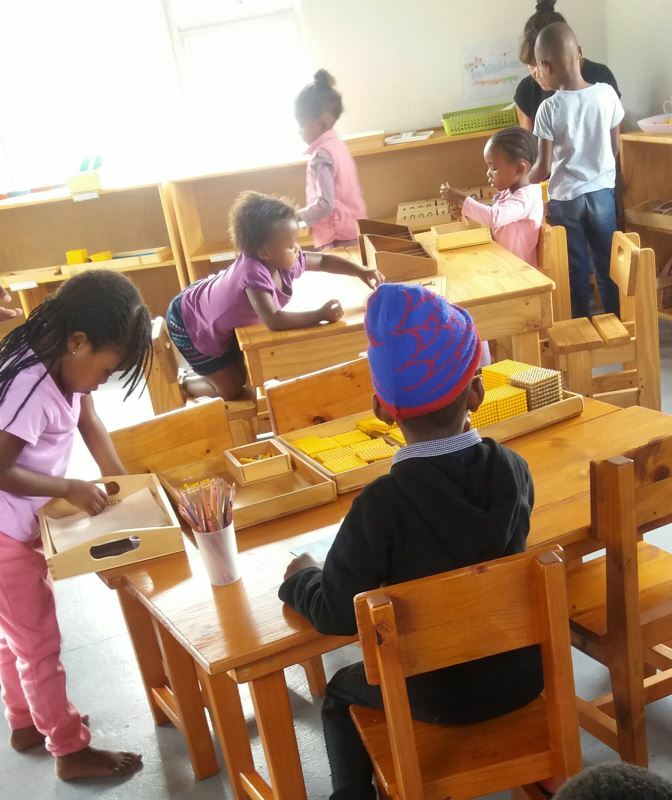 The Siyafunda After School program was launched on 20 February 2019 and the children absolutely love it! The 2 local facilitators, Yanga and Ntombifikile, went to Thanda in Kwazulu Natal in January for a week's After School program training. They then went for a further week's training with Thanda at Mdumbi in March. The ladies are very motivated, excited and enthusiastic about their program. The facilitators approached the local government school to find out if they could present the program at the school and reach more children. Sadly, the government school did not agree to this. The mama's have formed a committee among themselves and will be taking this matter further with the local school. Due to more children wishing to attend the Siyafunda program, we have had to employ an additional facilitator - welcome to Nosiphelele. who will be presenting the sport. We are currently looking for 13 sponsors for children! When R500 p/m (U$38, E33 or GBP29) is shared among a school, family, group of friends or colleagues, it really is affordable! Please chat to your family, friends and colleagues and rally up some people to join in giving a rural child the best educational start to life! We appeal to you to walk this road with us! A productive term for me. We welcomed lots of new 3-year old's to our school, which I am very happy about, as they will all benefit from the full 3-year Montessori cycle - perfect! We welcomed a new staff member to our team. Ziyanda will be the school administrator, which will free up time for me to do much-needed fundraising for our project. We hosted our NPO Founder members AGM this term and it went very well. Our next step is applying for PBO (Public Benefit Organisation) status. I completed 2 on-line courses this term, one being "Setting up a NPO Board" and the other "Social Impact Analysis" - the courses were both very useful and informative. 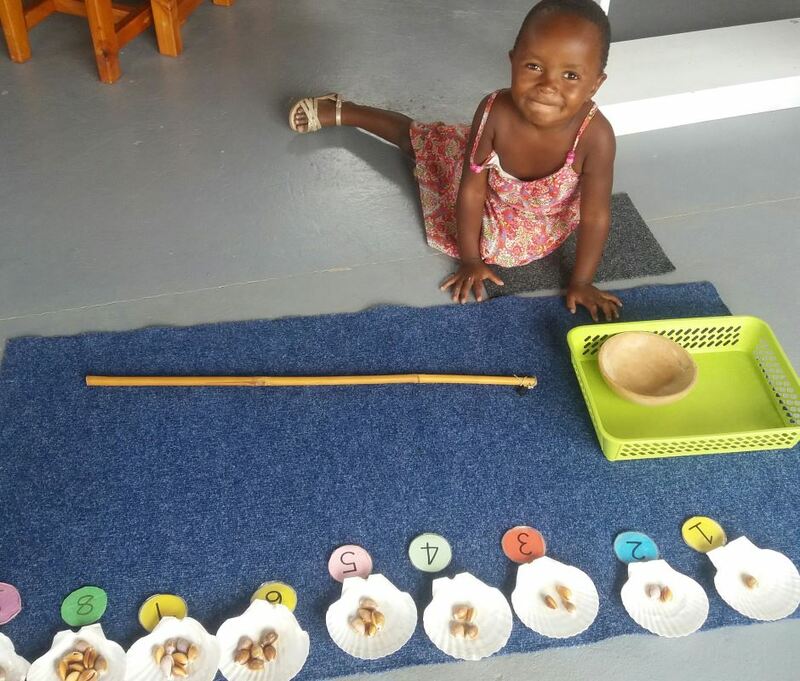 Thank you very much to everyone who supported Ncinci One's Montessori this term - we really appreciate each one of you! 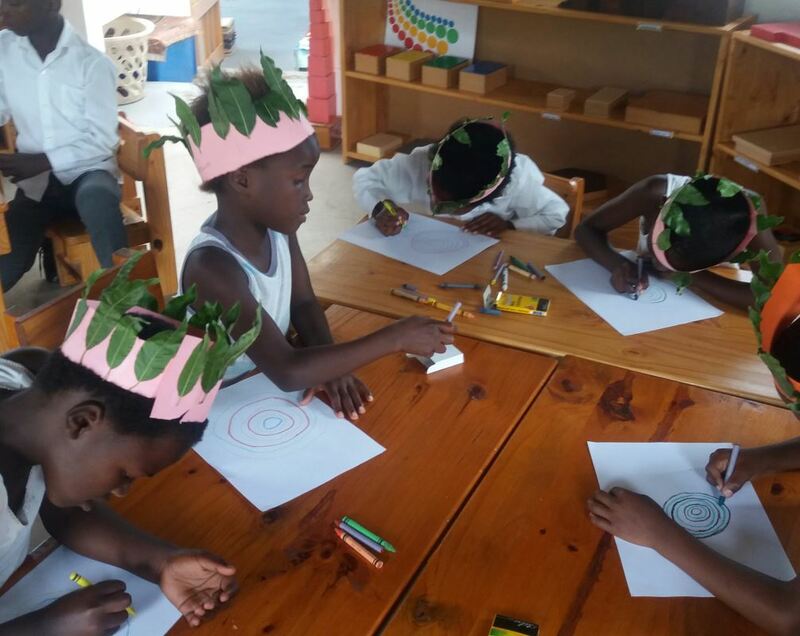 Your support ensures that we can continue helping our children and community. A special thank you to kidsRfuture and the EMIT elementary children for their efforts and supporting our project again. We really appreciate your financial support, with which we can improve our environment - thank you! For this last quarter, the following people have kept our mission going - thank you! Funerals are a very big event in the Xhosa culture. Preparations for the funeral start 2 weeks before the funeral, giving all family members from far and wide, sufficient time to travel back to the Eastern Cape. During these 2 weeks, there are many visitors to the homestead. Neighbours come to assist with cleaning, painting and catering for the many visitors. Friends, family and church groups will visit the widow conducting prayers and hymns. If it is the head of the family that has died, one of the rondawels will be cleared and only a mattress left inside. The wife of the deceased will remain in this rondawel until the day of the funeral. A week before the funeral, the men from the community gather at the homestead with picks and spades, to dig the grave. 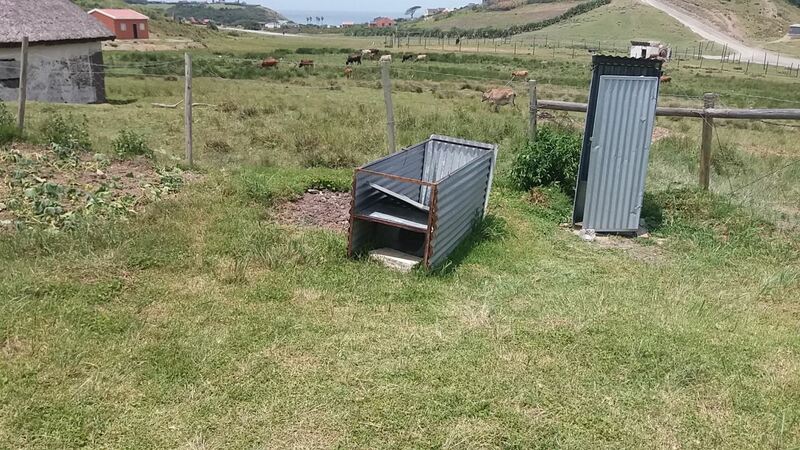 This job starts well before sunrise and payment for the men is normally a case of beer, -a bottle of Brandy and some Umqombothi (Xhosa beer). The big tent will be put up the day before the funeral and the cooking pots will go on the fires at sunrise of the funeral day. On the day of the funeral, the coffin is brought to the hut (where the widow has been staying) and members of the family are allowed to come and see the body. From there the coffin is taken to the tent, where a service is held. Speakers from the family, the community and colleagues will all give their last words and then the pastor will deliver a sermon. The male family members carry the coffin to the grave and lower it into the ground. Family members scoop some soil and throw it into the grave and then it is filled up by the male family members. Lunch is then served. 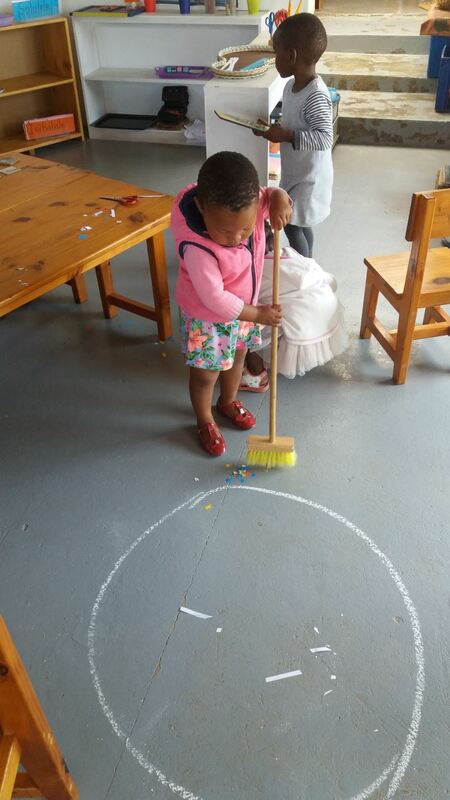 Ncinci One's Montessori is the 2nd Montessori pre-school project I have started in the rural Transkei, Eastern Cape. 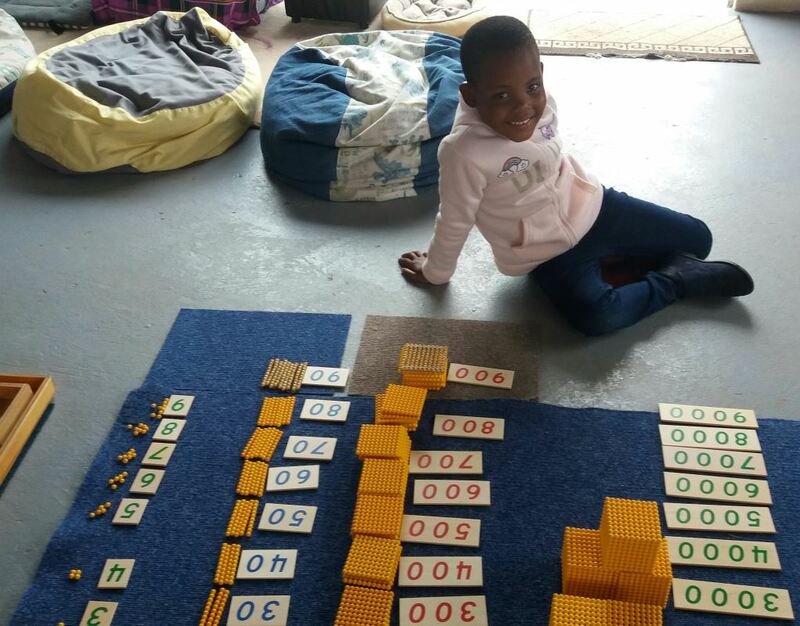 (The 1st is the well-known Ikhaya Labantwana Montessori). 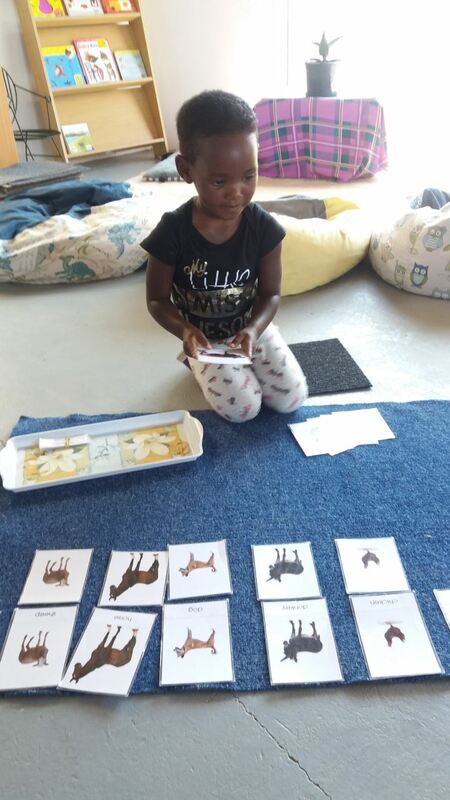 Ncinci One's Montessori was able to start with the support of Stichting Obonto and Actie Adoptie. 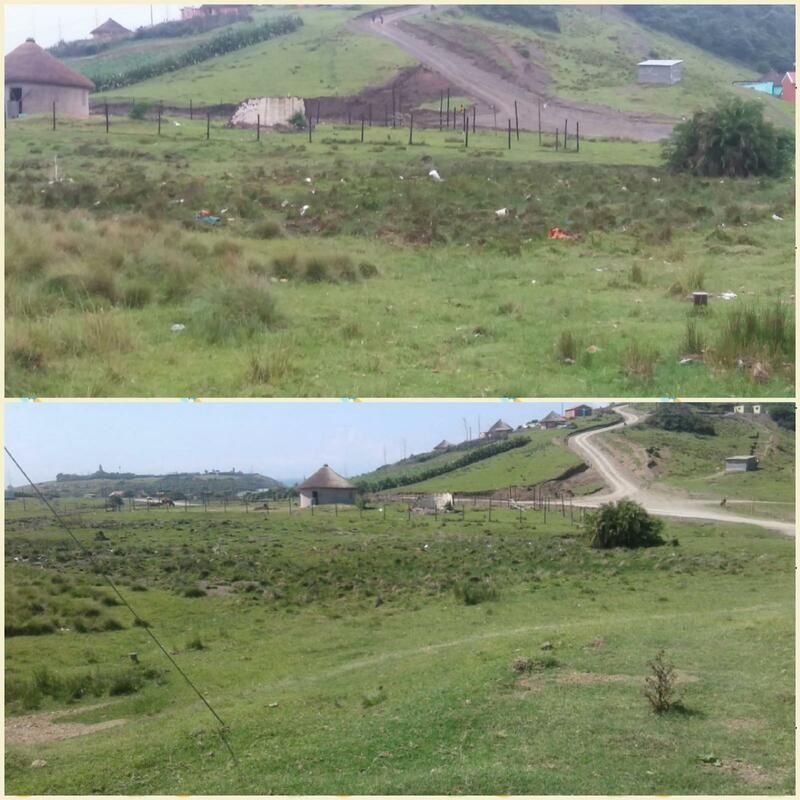 We opened in April 2016 and accommodated the maximum of 14 young, rural Xhosa children, in our 5.5m rondawel. By February 2017, the waiting list of children was at 28! With great thanks to the Kavmvalethu Foundation, Stichting Obonto and a few other donors, we built a nice, big hexagon inter-leading into our 'old' rondawel. 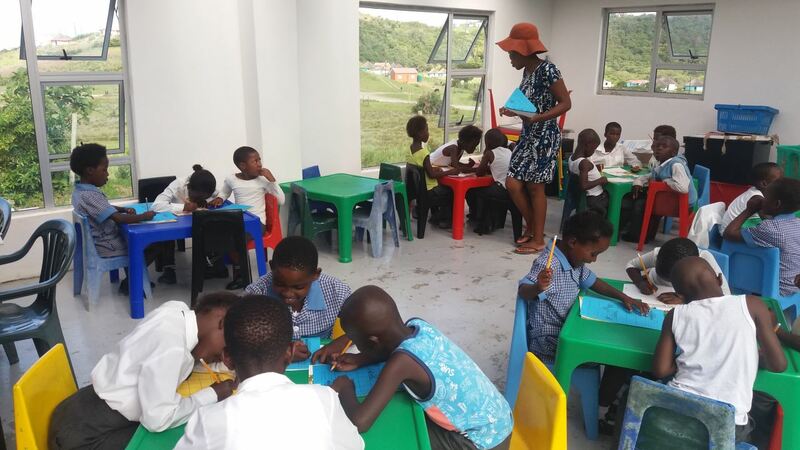 Our new spacious environment allows us now to provide 30 young, Xhosa children with a solid Montessori foundation, 2 nutritious meals per day, a daily calcium supplement and 3 day de-worming twice a year. Our project runs off the support, kindness and charity of others. If you would like to find out how you can help, please feel free to contact me.